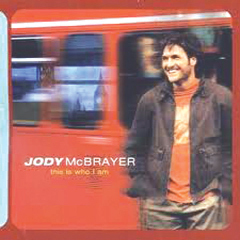 Jody McBrayer is a national Christian singer and songwriter with roots in Riverview. McBrayer, a former member of the Christian pop group Avalon, left the group in 2007 after recording and touring with them for 12 years. The touring became difficult because of a rare but manageable form of heart disease, and McBrayer has now become a solo Christian artist. McBrayer grew up in Riverview and graduated from East Bay High School in 1988. He spent a great deal of his youth at his home church, First Baptist Church of Riverview. At the time, his father was the youth pastor, and McBrayer was very involved in youth group and musical activities. First realizing his musical aptitude, McBrayer auditioned at East Bay High School for the musical Oklahoma! and landed the lead. Riverview resident and former classmate, John Legg, recalls seeing McBrayer performing. “Even back in high school he had an amazing voice and was a rare talent,” said Legg. During college, McBrayer majored in business and minored in music at Virginia’s Liberty University. Through a series of events, McBrayer ended up touring with the vocal group, Truth, before finally moving to California, where he took a job in the casting department of Disney Studios. Eventually, McBrayer found himself pulled toward the musical lure of Nashville where he ended up meeting his wife, Stephanie, and touring with the Christian pop music group, Avalon. McBrayer currently lives in Tennessee. McBrayer will be performing on Sunday, July 10th during the 10:45 a.m. church service. First Baptist Church of Riverview’s Office Manager and church member, Suzy Gay is looking forward to McBrayer’s visit. “We are all excited that he is coming back to his home church and can’t wait to hear him perform,” said Gay. He has released one solo album on Sparrow Records titled This Is Who I Am. In interviews regarding that album, McBrayer stated that the death of his father, Clyde “Sonny” McBrayer, in 2000 was his inspiration for the album. First Baptist Church of Riverview is located at 8626 U.S. Highway 301 South in Riverview. For more information, please call 677-6377 or visit www.fbcriverview.org.